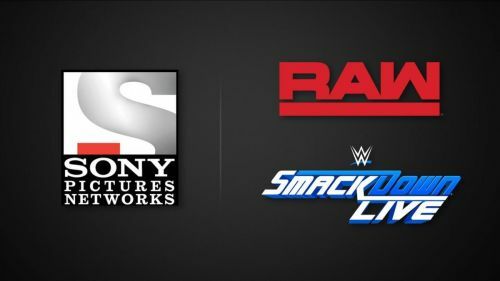 Sony Pictures Networks India (SPN) announces Tamil and Telugu language feeds for WWE’s leading shows, WWE RAW and WWE SmackDown LIVE. Fans can now tune in every week to SONY TEN 1, SONY TEN 3 and SONY SIX channels for English, Hindi, Tamil, and Telugu feeds and watch their favorite Superstars like Seth Rollins, Roman Reigns, Alexa Bliss on WWE RAW and Samoa Joe, AJ Styles, Charlotte Flair on WWE SmackDown LIVE and more. Recognizing the popularity of WWE in South India, SPN launched Tamil and Telugu feeds for the first time for the recently concluded WrestleMania 35 which was well received by viewers. The Tamil & Telugu language feeds for WWE RAW and WWE SmackDown LIVE will lend greatly to delivering a great viewing experience to WWE fans, and attract a larger audience. The announcement comes at an important time when the surprising results of WrestleMania 35 are going to lead to significant shake-ups in the WWE Universe. The brands are going to swap Superstars that will create new match-ups and storylines. In a Winner Take All match, Becky Lynch took away both the RAW and SmackDown Women’s Championship titles. Fans wait expectantly to see which brand she is going to be a part of now. There have been many exciting moments in both the shows recently when fans saw Braun Strowman attack Samoa Joe in SmackDown, Matt and Jeff Hardy won the SmackDown Tag Team Championship for the eighth time, Kofi Kingston challenged Seth Rollins in RAW in a Winner Take All match. Fans in Tamil Nadu, Andhra Pradesh, and Telangana can now catch all this action and entertainment in Tamil and Telugu. Watch WWE RAW and WWE SmackDown LIVE exclusively on SONY TEN 1 (English), SONY TEN 3 (Hindi) and SONY SIX (Tamil & Telugu) channels every Tuesday and Wednesday respectively from 5:30 AM onwards. Fans can catch the repeat telecast at 12:00 PM on Tuesday (RAW) and 1:00 PM on Wednesday (SmackDown LIVE).